National Volunteer Week is April 12-April 18, 2015. I volunteer because it feels good to positively impact someone’s life. Before I founded Stars for Cars, I would help my grandmother by food shopping with her. I also visited with my her and took time to listen to her stories. Volunteering is as simple as giving up your own time for the benefit of someone else. When I went to horse camp, I would help the new riders. I also used to take a horse named Phil out to graze and for walks. I also have been on the ALMS Student Council for 2 years. Before that I was a Peer Mediator for 3 years. I was also a member of the Ward School Green Team for 3 years and was a Safety Squad Member for 1 year. 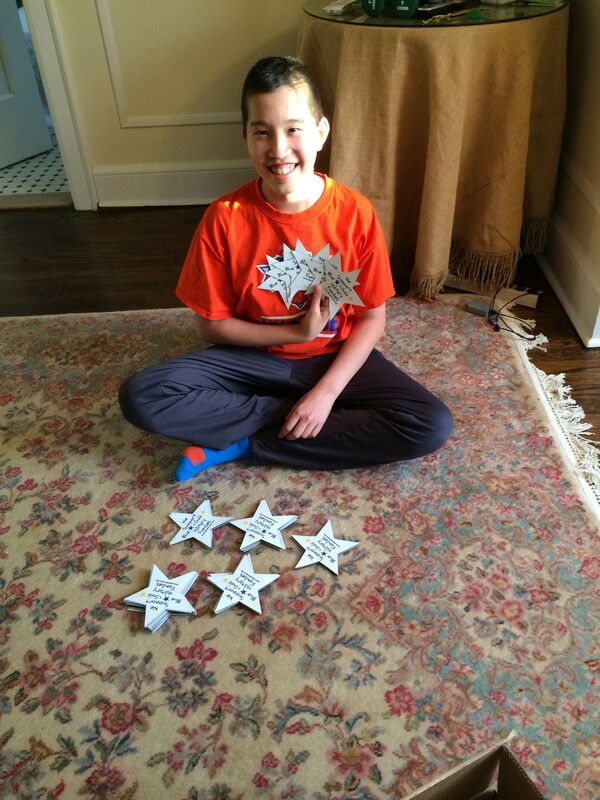 I participated in the ALMS Siwanoy House Pay it Forward Club this year. This proves that anyone can volunteer at home, at school, and in their community. Volunteering is so easy that some of you are volunteering and may not even know it. For more volunteering ideas for National Volunteer Week, please visit, http://www.volunteernewyork.org/NVW .